OverviewWhat is Monkey Rock Music? 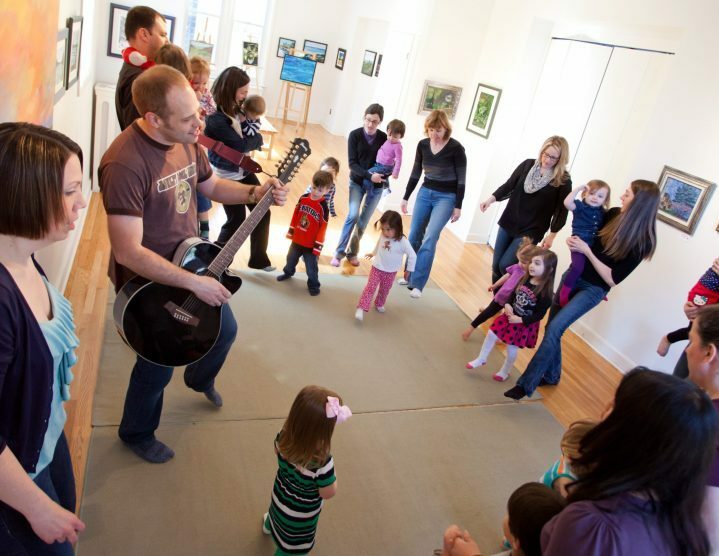 Monkey Rock Music is a fun, entertaining and creative participatory music program for young children and their adult caregivers. Our primary goal is to instil a love of creating and experiencing music that will last a lifetime. Nothing has a stronger impact on a child than enjoying an activity with the people they love. AGE GROUPSWho doesn’t enjoy rocking out? 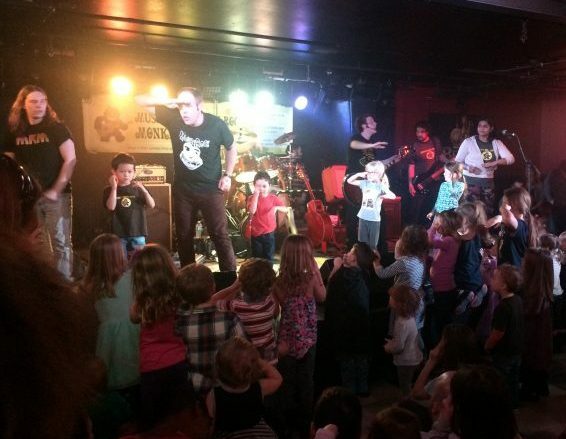 Monkey Rock Music classes are tailored to different age groups. 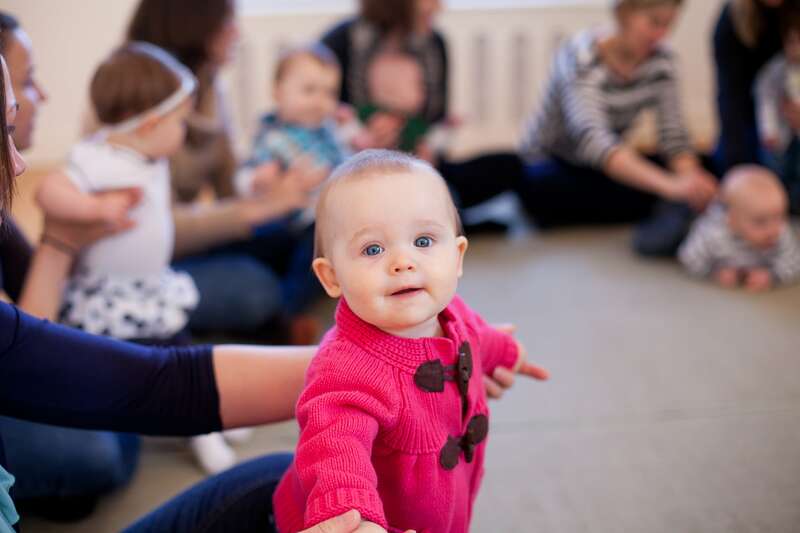 Babies under twelve months engage in fun musical games and activities with their caregivers. Toddlers 1 to 2 years old enjoy more movement, as they learn to be more comfortable interacting with other children through music. Kids from 2 to 4 years old clap and dance along to action-oriented songs, singing and contributing their ideas to the class. Children can join our programs from birth – we’ve taught babies as young as 6 weeks old! For information about enrolling in our classes, call 1-877-4MNKYRCK (1-877-466-5972) or email us at info@monkeyrockmusic.com. Our StorySo what makes us different? One of the most important moments for me in my musical upbringing was when my mother let me quit piano lessons. I was twelve, and I hated them. Several years later I would come back to the piano on my own terms, and even begin taking lessons again. My mother understood that, beyond all else, music should be a source of pleasure. If I’d have stuck with the lessons, I may have become a better piano player, but most likely never found the satisfaction in creating music that I have now. At Monkey Rock Music we believe that creating a love of music at an early age will have a lasting effect on the role music plays in a child’s life. In a child’s early years, music, singing, dancing and rhythm all have a profound effect on mental development. We also seamlessly incorporate sign language into our program, which can greatly accelerate language development. OUR MISSIONWe want you to have fun! Our number one priority at Monkey Rock Music is for everyone to have fun. We use plenty of repetition (which is critical for children to learn and engage with material) along with continual, gradual introduction of new material (which is critical for adults to not get bored!). Most songs in a given class are sung by the instructor and played on guitar, allowing the instructor to always be in amongst the children, and there are plenty of percussion instruments for children and adults to play. We do not use any prerecorded music. Classes are well structured with a natural progression tailored to each age group’s attention span, and always follow a similar pattern to encourage participation and appropriate involvement. One of the highlights of each class is the ‘instrument of the week’, originating from such diverse countries as Cuba, Morocco and Tibet, which the instructor demonstrates then passes around for all to try while explaining about the history and musical principals of the instrument.